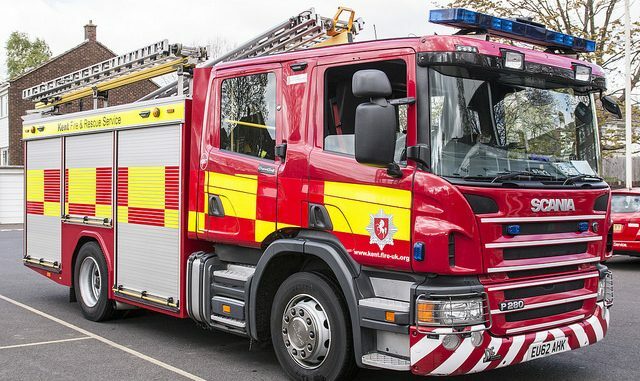 An elderly woman has suffered burns in a chip pans fire in Margate. Kent Fire and Rescue Service was called to the property in Westfield Road, Margate shortly before 4pm. Firefighters were on the scene within minutes of KFRS’s Emergency Control Centre receiving the 999 call. They found that the woman had suffered minor burns, after her chip pan accidentally caught alight. The fire was out when crews arrived as the woman had put the pan into a sink full of water causing a flash fire, with heat and smoke damage to a curtain and wall. Crews cooled the burns and gave oxygen therapy to the casualty before handing her into the care of the ambulance service. A special fan was used to clear smoke from the house.